Watson French has helped many employers with their auto enrolment duties and are considered specialist auto enrolment advisers. To support the roll-out to all businesses by 2018 they have developed an online system My Auto Enrolment that guides you through the process step by step, giving truly independent advice, and saving you money as well as time. Get Started Today Save time, money and hassle by getting started on My Auto Enrolment today. As you are aware you have assisted me on two companies, in which I have an involvement, in putting in place auto enrolment schemes. Now that those schemes are fully functional I thought I would just like to say thank you for all of your efforts in the process. Your knowledge and assistance was invaluable in ensuring that we met our legal obligations to deliver the schemes on time and in the process keep our relationship with employees on an appropriate basis. Auto enrolment is a tricky process which definitely needs input from professionals such as yourself. Thank you for all your help in getting us smoothly through auto-enrolment. You gave us independent recommendations and clear explanations throughout the process. This was a huge help to us in such a busy time, taking the weight of our shoulders and making sure our staff received the best advice. 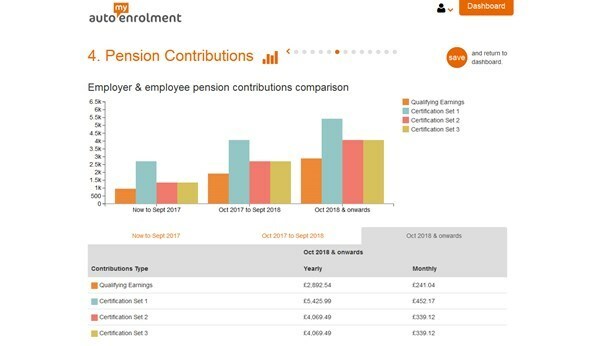 As a small company without an HR or large accounts division (but with 22 staff) having someone like Watson French to take you through the pension auto enrolment obligations makes it a very easy and painless process. All our staff have commented on what good advice they received, we are very pleased. They are thoroughly recommended.